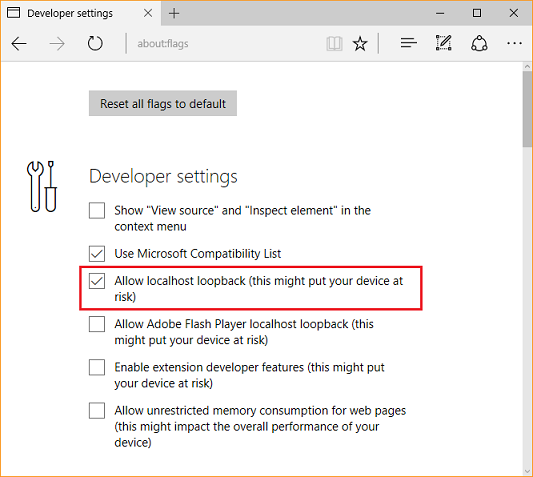 Microsoft Edge cannot establish a connection to DocuWare Desktop. Install all available Updates for Microsoft Edge. Delete the browser cache and cookies and try it again. Open Microsoft Edge type "about:flags".